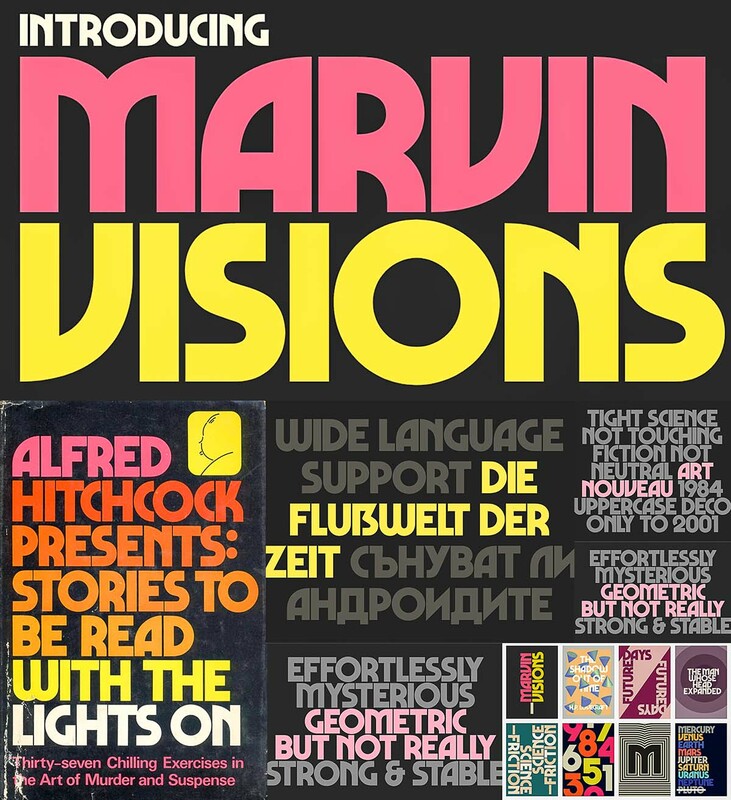 Marvin Visions is a more modern and consistent reinterpretation of Marvin, a typeface originally designed by Michael Chave in 1969 and published by Face Photosetting. 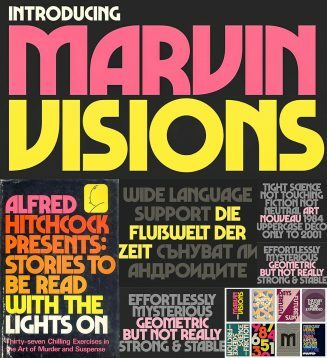 It has been revived by Mathieu Triay for the identity of Visions, a new science fiction magazine that aims to be a literary introduction to the genre, mixing classic texts with new writing. Multilingual. Tags: cyriillic, cyrillic font, modern, modern font, multilingual, poster font, retro font, type.